Judith Mary Oberst, age 84, passed away peacefully, Thursday, March 28, 2019 surrounded by her family. 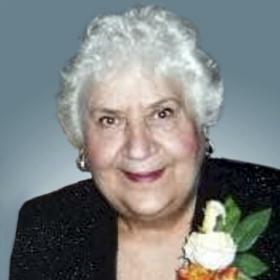 She was born in Kenosha, September 4, 1934, daughter of the late Edward and Ida (Nee: Santulli) Swencki. 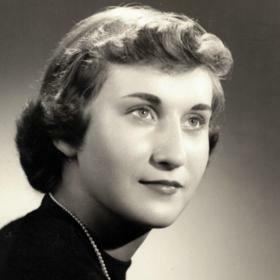 Judy graduated from St. Catherine’s High School “Class of 1952”. 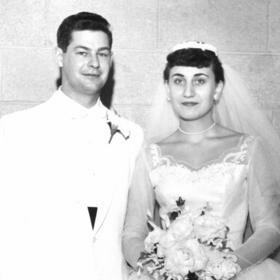 She married the love of her life Frank H. Oberst on May 12, 1955. He preceded her in death, in July of 1969. Judy retired in 2008 from GI Consultants after many years of service. 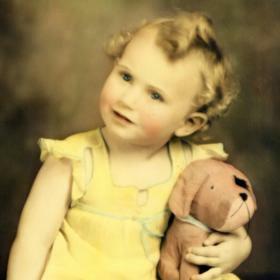 She will be dearly missed by her children, Lisa (John) Caspers, Paul (Dee) Oberst, all of Racine; granddaughters, Megan (Sean) Dunk of Racine, Marie E. Oberst of St. Louis, MO; her great-grandchildren, Cori, Shelby and Mason Dunk; brother, Jim (Anne) Swencki of Lebanon, Kentucky; brother-in-law and sisters-in-law, John (Vickie) Oberst of Racine, Judie Oberst of Racine, Barbara Swencki of Nokomis, FL; many nieces, nephews, cousins, other relatives and dear friends. 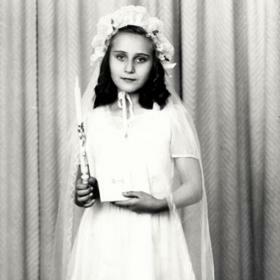 In addition to her parents and husband she was preceded in death by her daughter, Lynn E. Oberst; and brother, John Swencki. Relatives and friends may meet with the family at the funeral home on Friday, April 12, 2019 from 5:00 pm until 700 pm. The family wishes to extend a very special thank you to her sister-in-law, Judie Oberst, longtime caretaker, Cheryl Lewis, and the care team at Parkview Gardens for their loving and compassionate care.